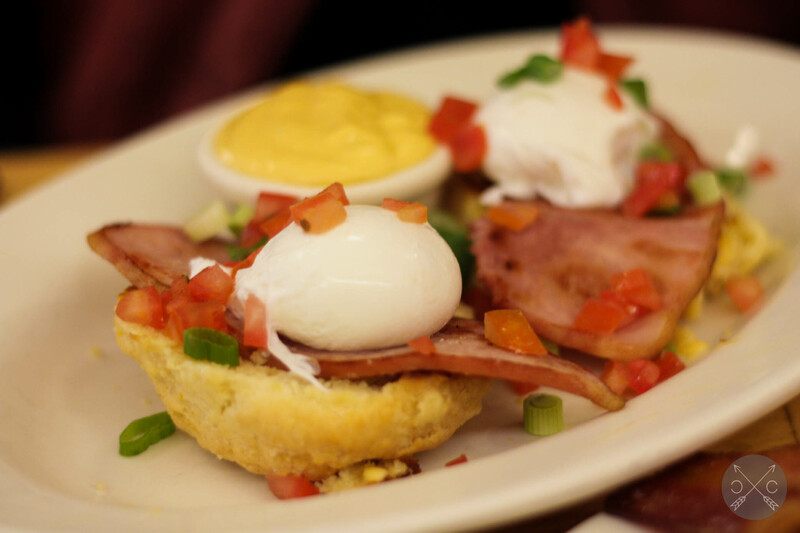 No city is a real metropolitan city until it takes its brunch seriously. How else are restaurants going to charge you a ridiculous amount and make you wait in 2-hour lines for some simple eggs and bacon? As you can tell, Nanette and I share a common distaste for waiting in line for over-hyped restaurants. Don’t get me wrong, though. We both definitely appreciate good food and good brunch. When we do come across those restaurants that live up to their hype, it’s understandable that the line extends around the block because the food really will knock you out of your socks! Hopefully, we can help you identify which restaurants are truly worth that ordeal. 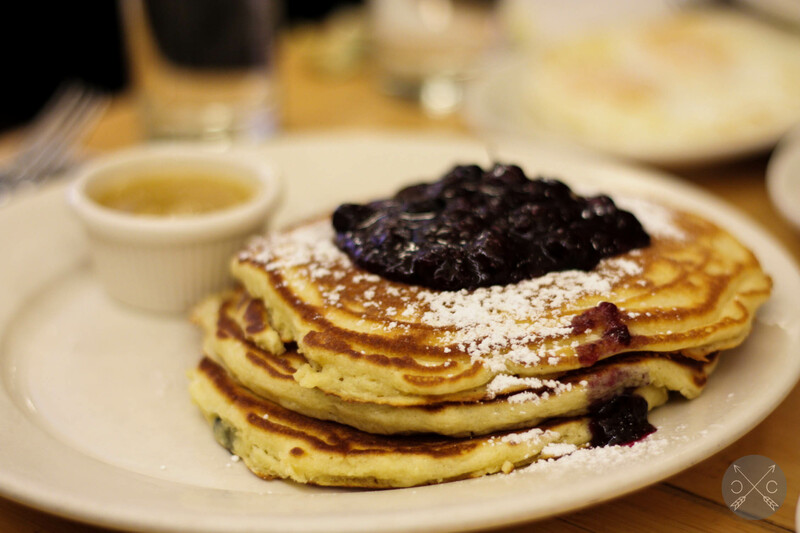 Last weekend, just in time for pancake month and a few days before National Pancake Day, we had the chance to try Clinton Street Baking Co. & Restaurant. They are well known for their pancakes; so well known that they even came out with a limited special menu for Pancake Month. Nanette’s marshmallow oreo pancakes with marshmallow syrup creation would have fit right in! Fortunately, catching a very late brunch, we were able to make it in time before they closed without having to wait for too long. We ordered their blueberry pancakes with maple butter syrup. The maple butter syrup was such a genius idea! Why doesn’t everyone do this?? I am very particular of pancakes that are too dry and these pancakes were made perfectly! 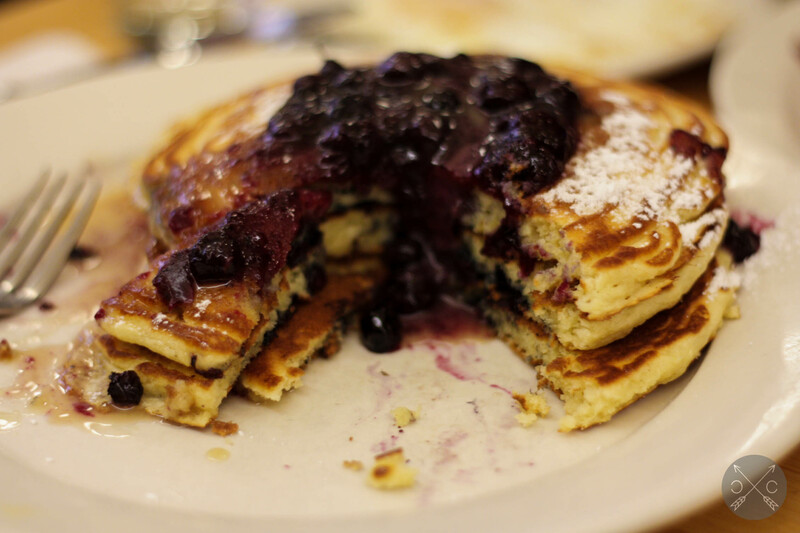 They had just the right amount of blueberries (even between layers) that didn’t overpower the entire dish. We also ordered the Eggs Benedict (hollaindaise on the side) and a side of their sugar cured bacon. The eggs benedict and sugar cured bacon (not pictured) were also very good. The eggs benedict was nothing spectacular, but prepared nicely nevertheless. The sugar cured bacon was strangely delicate and balanced perfectly between sweet and savory. If anyone has ever tried the Millionaire’s Bacon at Sweet Maple in San Francisco, this sugar cured bacon was way more preferable since it wasn’t just thick, deep-fried bacon drenched in syrup and other spices. Overall, the pancakes are the clear highlight of their menu. 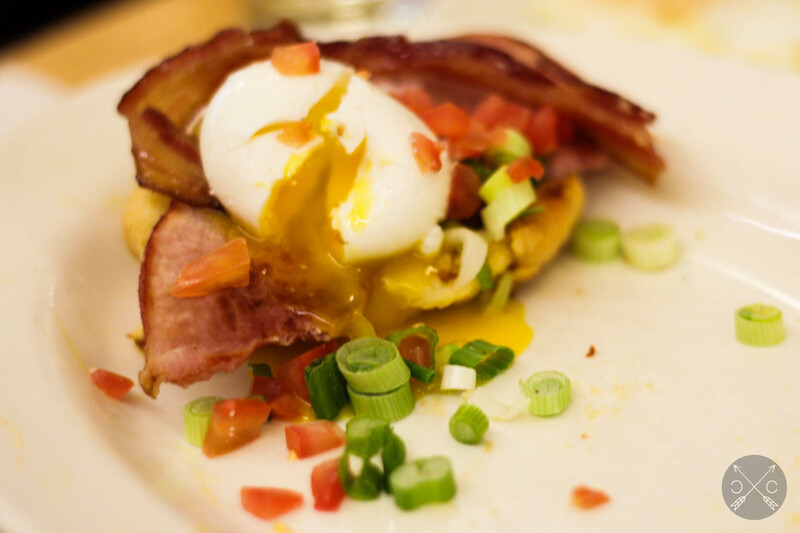 If the wait isn’t more than 30 min, this can be a great go-to brunch spot to satisfy that pancake craving you may have and catch those regular brunch dishes. If you’re not up for the long wait and are ready for the challenge, the Clinton Street Baking Co. & Restaurant has also graciously revealed their recipe in their cookbook. BuzzFeed also has their own version of the recipe with plenty of visuals. Happy Belated National Pancake Day!